After searching for quite some time I was thankfully able to find these boxes. They are the perfect size for my gluten friendly and dairy friendly cinnamon rolls. It allows my customers to see the beautiful dollop of icing on each one. The boxes are simple to put together and are very sturdy. I will be buying more as I need them! These worked perfect for my individual donut gifts! These boxes are EXACTLY what I need for selling my cookies! It is very hard to find this particular size and BRP has a very large variety of boxes. I'm sure I will be purchasing other sizes from them as their prices are excellent! Love the boxes, they are perfect for an assortment of things (besides food) and look just great when dressed up and used for gift giving. Second time buying these boxes!! Tried several other distributors and none have compared yet! The boxes are great - I usually get the box without the window but tried this box and it's adorable. Perfect for cookie box favors! We use them for small gifts for our guests and they work great. The boxes arrived quickly and were perfect for our intended use. Having a donut bar at my wedding reception. A well know donut shop in LA tried to sell me the identical box for double the price! So glad I found this place!! I was searching for a box to use for a Christmas cookies this year and these have been absolutely perfect. They hold roughly a dozen or so small/medium cookies beautifully. They assemble quickly and look very professional. I am thrilled with this purchase! These cake drubs are so professional looking! Thanks for making great boxes BRP! Good lead time and they were the perfect size for my pastry. Looks great, inexpensive and very versatile! We ordered these for a 4-pack of votives for our store, and they work wonderfully! 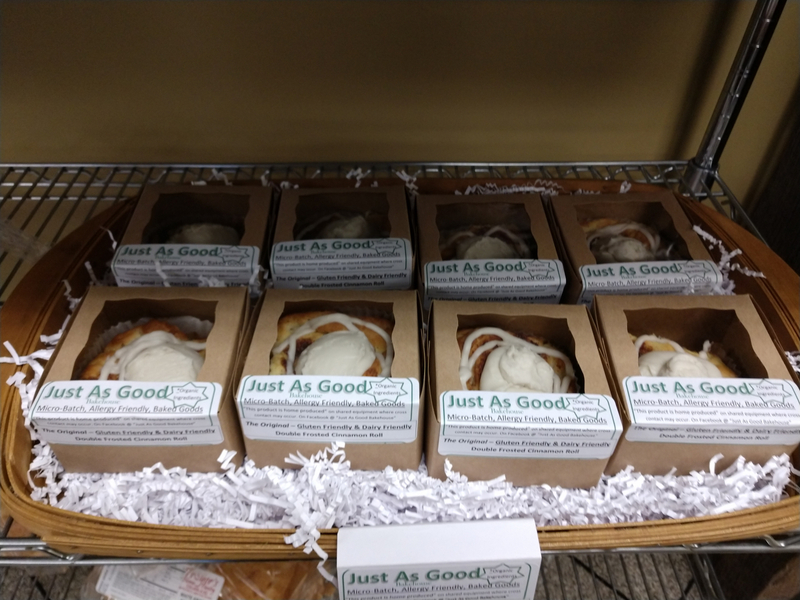 We do individually wrap ours, so the wrapping does take up some space--meaning if you don't wrap them, the box might be a bit big. The window is nice, totally worth the money, and they are nice and easy to work with! VERY HAPPY! Best UsesVotive Candles, 1 oz. We purchased these to hold donuts for my wedding favors, they are a great size and look awesome. Bought item for donuts as bridal shower wedding favor. They fit the bill perfectly. Easy to assemble. Quality seems good. Happy with purchase. I purchased these boxes for my daughter's wedding as a dessert take away. As soon as the packaged arrived I started putting them together - all was going well until I hit a slight snag - the lids weren't staying closed. I went onto the BPR page that explains how the boxes should be put together...I was doing it correctly. So I emailed the customer service immediately - their response was very fast - they checked out their stock and said there was no problem on their end but they would send me a new order and would issue me a return order. I had already put most of the boxes together and had added a personalized sticker, so I wasn't about to send them back. I called right away and made sure they would cancel the new order. To me their customer service was top notch - and as to the boxes I found if I didn't bend them too much where they are scored, as I put them together, the lids stayed in place. The boxes and the stickers are perfect for our needs. Best UsesI use it as a small cookie box. 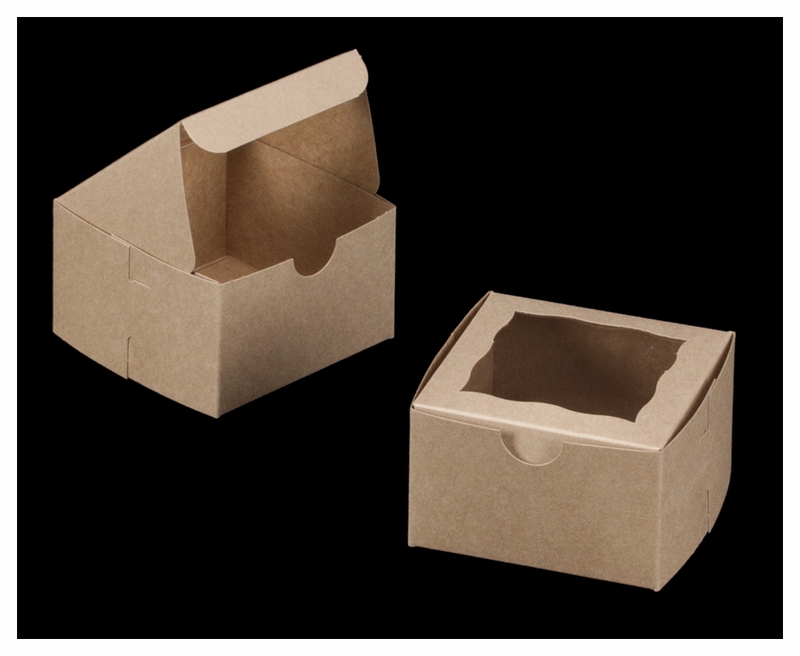 Also you can add an insert and use as a cupcake or muffin box. Worked great for our party favors-- mini artisan doughnuts-- 4 or 5 to a box. Topped with our wedding logo sticker. Shipped when expected. Great deal! Wonderful box to give with a ribbon around it and a nice little treat inside. We use this box for brownies or it also will hold 2-3 cookies. Love that BRP offers kraft brown options. Not only are they economical, they are environmentally friendly, which is a big hit at the farmers markets! Great size for 1 standard cupcake (insert not included), or a few layers of "normal" sized cookies. They are easy to fold and have a nice texture to them. They are not shiny like the white boxes, but they DO NOT look like a cardboard box. We heart our BRP Boxes! Hi Ashely :) CONGRATULATIONS! I'm happy to help find the best box for you. I will grab this size and one or two others, snap a few pics of them with some 3" cookies, and email you so you can get an idea of which box might work. THEN, your best bet would be to try some samples to see (hands on) which one you like best :) You can find the 'Get Samples' link on the left side of our webpage. Would this size box work for a single round doughnut? Hi Danielle, Yes :) as long as your doughnut is less than 4" in diameter. We offer samples if you would like to try it out to see if it works for you. You can find the link to our 'Get Samples' page on the left side of our webpage. These are very nice looking boxes. Do they offer a double bottom for durability? We make 3/4 lb chocolate covered peanut butter eggs and coconut eggs and we are looking for something trustworthy for packaging them. Hi Connie, This box is very sturdy and you should have no issue with your chocolate peanut butter eggs. If you'd like, you can try some samples before purchasing a larger quantity. Just click the 'Get Samples' button on the left side of our webpage. Let me know if you have questions. 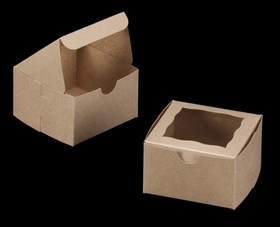 I would like to know if this box comes in 4" X 4" X1 3/4" I'm needing it for cake truffles. See picture attached. They are the same size as the cake pops, but with out the stick. Hi Adriana! Great timing - we have been working on a windowed version of the 4x4x1 /34 simplex style boxes and they will actually be available for purchase next week! I will post their arrival on Facebook, twitter, Instagram, & Pinterest. You can also check our What's New page (tab on the left side of our webpage) to see if we've added them. 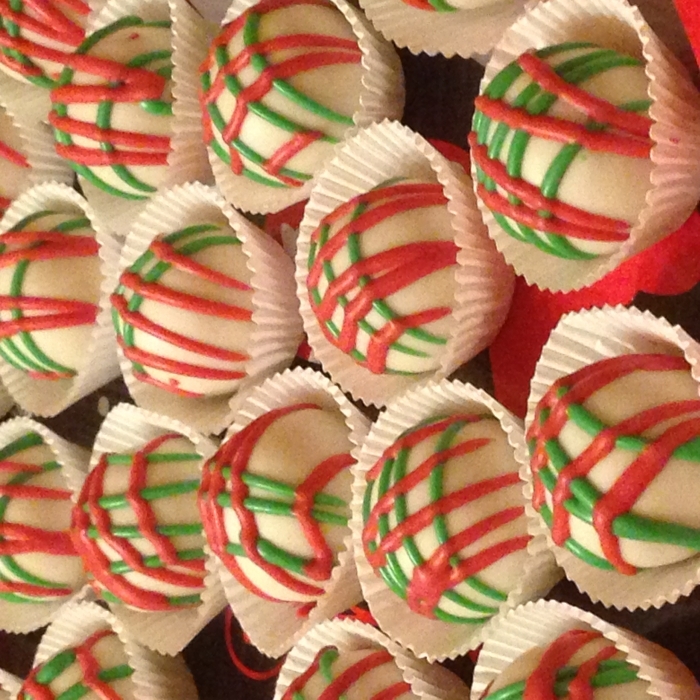 I would love to see pics of your truffles in them (if you have time). Let me know if you have other questions.